Are you searching for fuel-efficient vehicle? Wait for a few months, Ford is going to introduce its new range of 15 fuel-efficient and environmentally friendly vehicles. Ford is very serious to rule the 2012 with its fuel-efficient and eco-friendly cars that appeal the people most. ECOBoost and ECOnetic Technology of Ford will be a key player in upcoming fuel-efficient and Eco-Friendly Ford Vehicles. Low Co2 ECOnetic Technologies will also be introduced in upcoming vehicles. 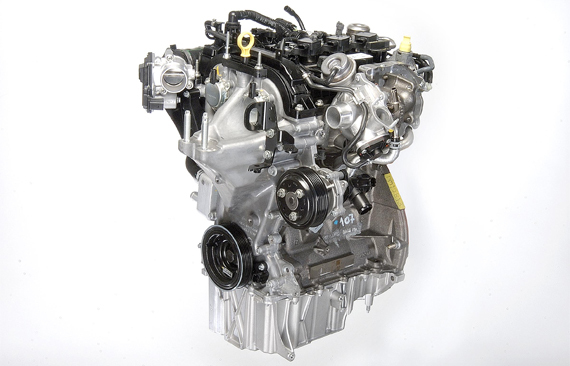 1.0 EcoBoost Petrol Engine has been named as “International Engine of the Year”, in coming months Ford will launch 15 new vehicles with powerful engines and 9/15 will be empowered with this award winner EcoBoost Engine. Currently Ford Focus Models are available with 100PS and 125PS version that are known as eco-friendly nature, 100PS model emit 109g/Km and 125PS emits 114g/Km of Carbon Dioxide. New Ford ST Cars are known for providing best-in-class fuel economy, thanks to the EcoBoost Engines that empowers them to deliver fuel efficiency with a difference. Turbocharging and Direct Injection Technology enables the ST cars to become a truly fuel-efficient car. Ford ST is powered by 2.0L EcoBoost Engine and like 1.0L EcoBoost Engine it is also eco-friendly and emit only 169g/Km of Co2. The TDCi Diesel Engine will be equipped in commercial vehicles Transit and Ranger. Both of these vehicles are known for their eco-friendly nature and fuel efficiency. New Transit in Bus Version is highly acknowledged for its extremely environmentally friendly nature. All over world Ford Focus models are renowned as most fuel-efficient and eco-friendly models of Ford, Focus models powered by 1.6L TDCi engine and ECOnetic Technology emit only 88g/Km of Co2. Ford is serious to win the battle in which all the leading automobile manufacturers are in a race to provide fuel-efficient and eco-friendly cars to customers. That’s why it has used the latest technologies as weapons and going to introduce in its upcoming vehicles.